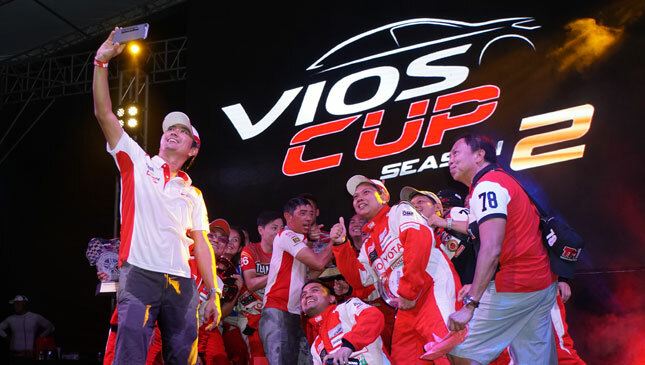 Race organizer JP Tuason called last weekend’s Toyota Vios Cup track the "Cebu Circuit de Monaco," and we think it was because of the oceanside view and the narrow roads of South Road Properties. Combined with a few dusty sections, the 1.6km circuit even looked like a rallycross at times. 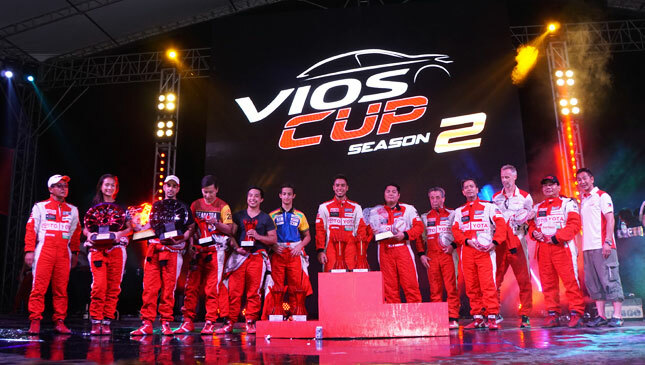 The one sure thing about the recently held leg of the Vios Cup is that it was exciting. 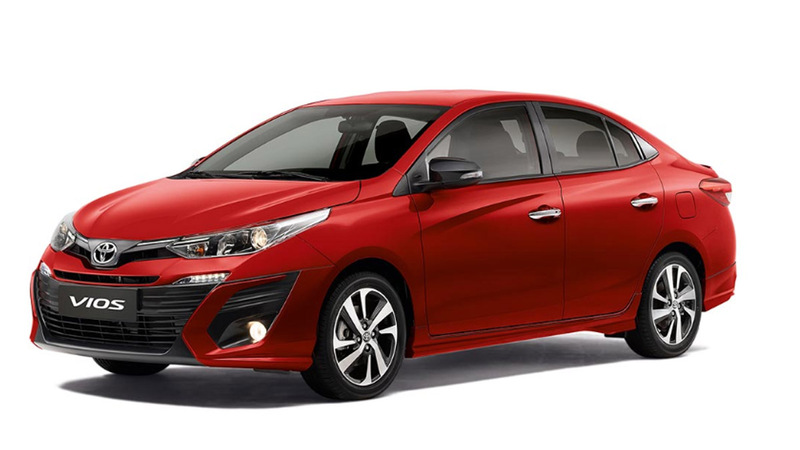 Barriers were hit, car bumpers were shorn, and at one point a half-Japanese/half-Brazilian driver hit another Japanese racer who also happened to be 100% company president. But at the end of the day, all of the drivers were just cheering each other onstage, drenching each other in beer and champagne. 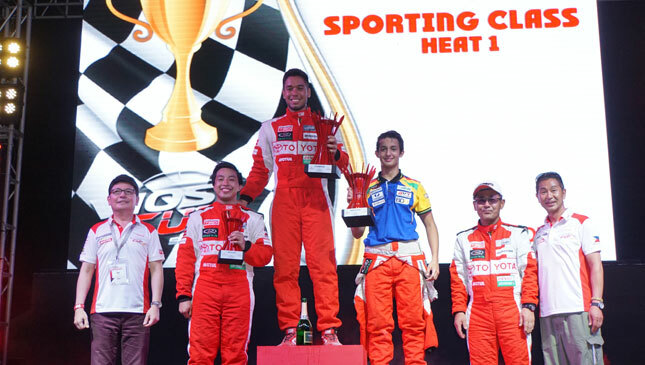 The first heat of the sporting class saw Toyota Alabang’s Andres Calma take pole position because of his fast qualifying time. 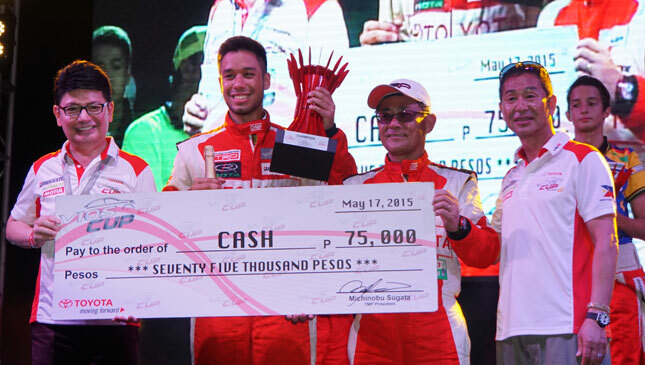 Allan Uy, who has proven to be one of the fastest drivers in the series, was in second position, and Victor Buensuceso rounded out the top three. The tight street track seemed suited for Calma, who managed to protect his position with no serious contender. 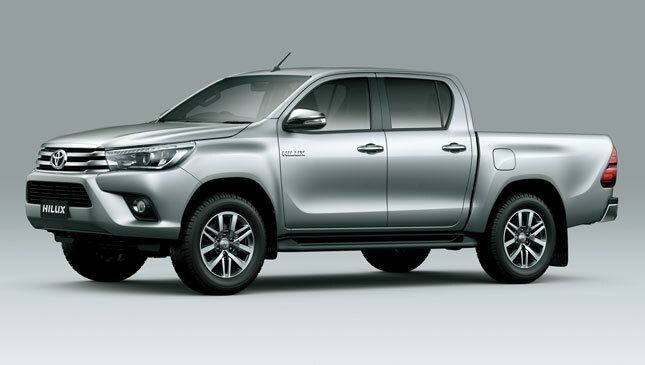 The racers behind him, however, jostled and overtook each other for the succeeding positions. Many spectators were treated to thrilling overtaking maneuvers because the bleachers were positioned right in front of a sharp corner. After each heat, this corner was strewn with Vios parts, especially bumpers. Every now and then, a driver would exit a turn too fast, and a loud bang would be heard as the barriers would rattle. But the race organizers did their job, and no untoward accident occurred during all the heats. 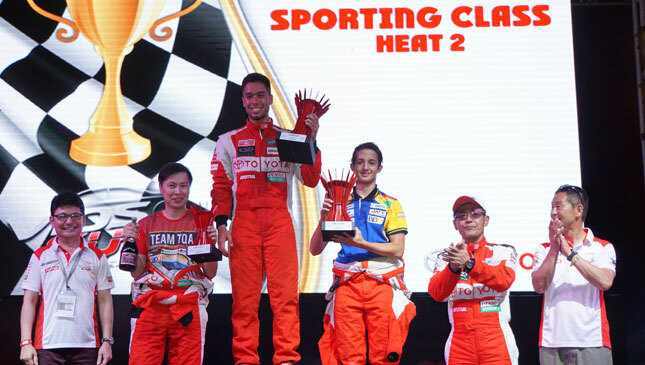 When the dust settled--quite literally, by the way--at the end of the first sporting class heat, the teenage Daniel Miranda was behind Calma for second place, and Bobby Domingo finished third. It was a surprising finish for the latter, who had qualified seventh for this heat, and had only managed to do a personal best of 12th place in the previous leg. For the second heat of the sporting class, Calma drove a smooth race with no mistakes to cruise to another victory. Miranda also held on to his second-place slot. But this time, it was Uy who came in third. 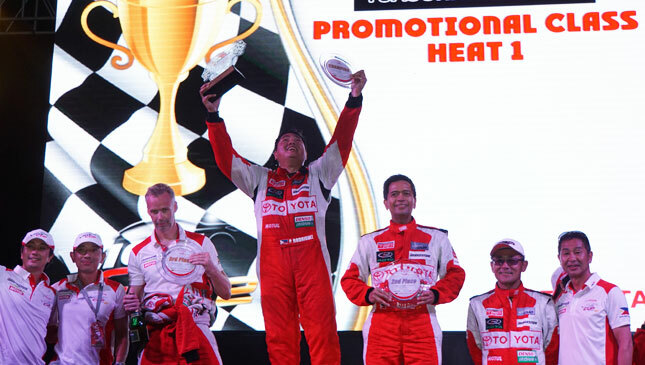 Consistently in the fifth spot for both heats was 2014 Vios Cup overall champ Luis Gono. In the promotional class, radio celebrity Sam YG was in pole position again, similar to his status in the previous leg. 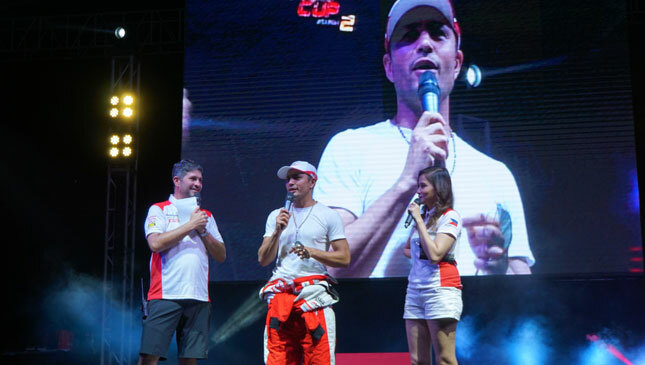 Right behind him was actor Derek Ramsay, whose known competitiveness in sports was beginning to bear fruit in his improved lap times. 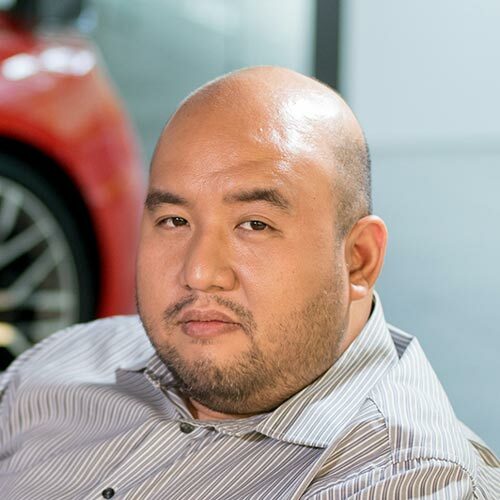 Third was non-celebrity racer Paolo Rodriguez. Prior to the race, Sam YG had told us that as long as he was in front, he could use the narrow circuit to his advantage. All the 2014 celebrity champ had to do was straddle the middle lane and defend his position. 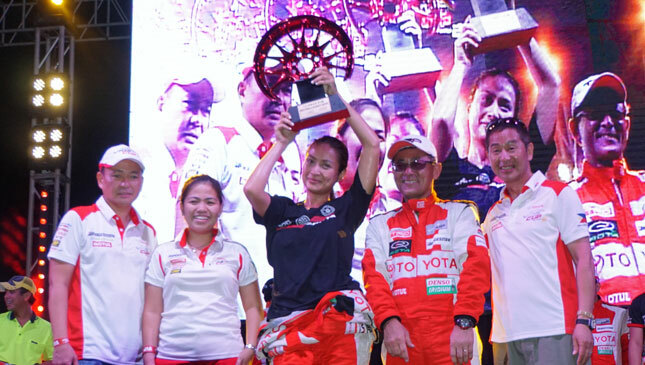 A special revelation was actress Jasmine Curtis-Smith, who had qualified in seventh place despite not knowing how to operate a manual transmission prior to joining the Vios Cup this year. Although she eventually blew up an engine during the race, we still think she’s cute. Let us repeat that: She's cute. During the first promotional class heat, Sam YG executed his plan flawlessly and finished first. Rodriguez was able to overtake Ramsay after several heated battles and landed in second place during the first heat. Ramsay ended up in third place, just ahead of the fastest female celebrity, Phoemela Baranda. 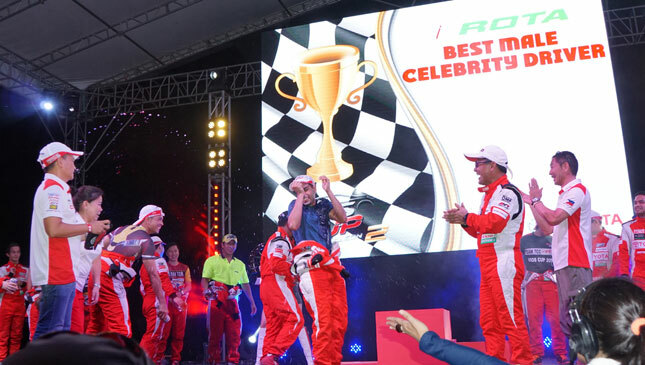 By the second heat of the promotional class, Sam YG had mastered the track and was unchallenged in his dominance. Ramsay held on to second place, proving that he was hungry for the top spot, while Baranda nudged Rodriguez out of third place. 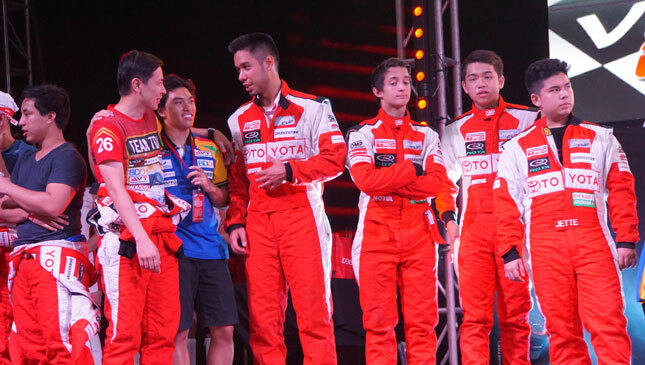 As evening fell, the drivers gathered at the stage for the awarding ceremonies. The celebrity drivers were presented and awarded first. 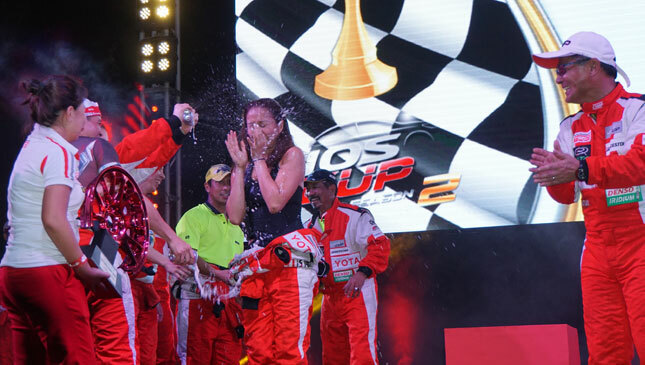 Sam YG and Baranda were drenched in beer as they accepted their Best Male Celebrity Driver and Best Female Celebrity Driver awards, respectively. When it was the turn of the sporting class to be awarded, it was clear that the driver of the day was Andres Calma, who drove so cleanly it impressed even the other teams. True enough, Calma won the Driver of the Day award, along with other honors like Best Qualifying and Fastest Lap. The top prize for Calma, of course, was still winning both sporting class heats and getting cash prizes and trophies for both. 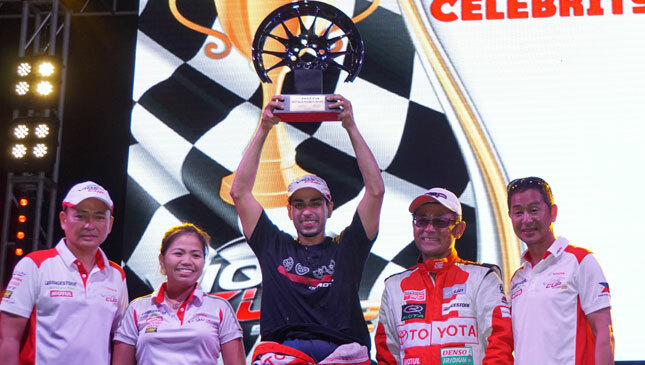 With the Cebu leg being a double-points race, Calma is now effectively the man to beat in the 2015 Vios Cup. 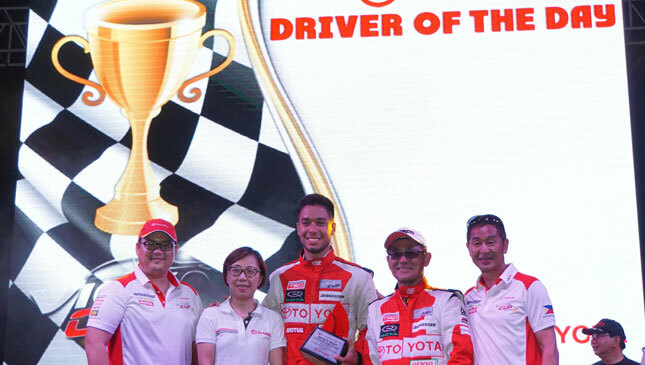 With the next leg set to be another street race--a setting Calma seems to excel in--it will surely be another exciting Vios Cup chapter as the other drivers are sure to set their sights on the new number one racer. Check out the official race results at the bottom, and watch for our gallery of race photos which we'll upload after this.